ANCHORAGE, AK. (THECOUNT) — Kelsey Jackson has been identified as the Anchorage mother charged with murdering her daughter Wednesday. Police say she’ll be arrested as soon as she’s discharged from the hospital. According to the charging documents, police responded to Point Woronzof parking lot and found 24-year-old Kelsey Jackson injured, along with 3-year-old Brooklyn Jackson was “obviously deceased” and had been stabbed multiple times. Kelsey Jackson was also injured in the attack, but reportedly “made statements to responding officers at the scene indicating she ‘did it’ and no one else was involved,” documents state. The two were in the back seat, and Brooklyn was still strapped into her car seat. 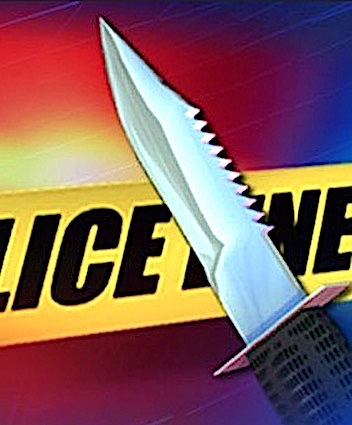 A knife was found under the driver’s seat of the SUV, reports KTUU. Police say Jackson’s cuts to her arms were “consistent with a suicide attempt.” They wrote in the charging documents that police had contacted Jackson in the past for suicide attempts. In September of last year, a family member had filed a domestic violence protective order against Jackson on behalf of Brooklyn, after an alleged act of vandalism. The family asked for help with requiring treatment for mental health and substance abuse issues. A short-term order lasting 20 days was granted, and the family member gained temporary custody of the girl. Geo quick facts: Anchorage, Alaska’s largest city, is in the south-central part of the state on the Cook Inlet. It’s known for its cultural sites, including the Alaska Native Heritage Center, which displays traditional crafts, stages dances, and presents replicas of dwellings from the area’s indigenous groups. The city is also a gateway to nearby wilderness areas and mountains including the Chugach, Kenai and Talkeetna – wikipedia.